Nowadays, many people are shouldering high stress from society. For them, it is really a good way to find some funny videos to release the pressure as laughter is the commonly agreed best cure for unhappiness. Many people are able to find the comedy videos from YouTube but may have been tired of searching them one by one from the website. Turning to the videos on YouTube is a great option, because there’re specific funny channels for people. And the top 10 channels voted by editors are worth to have a try. 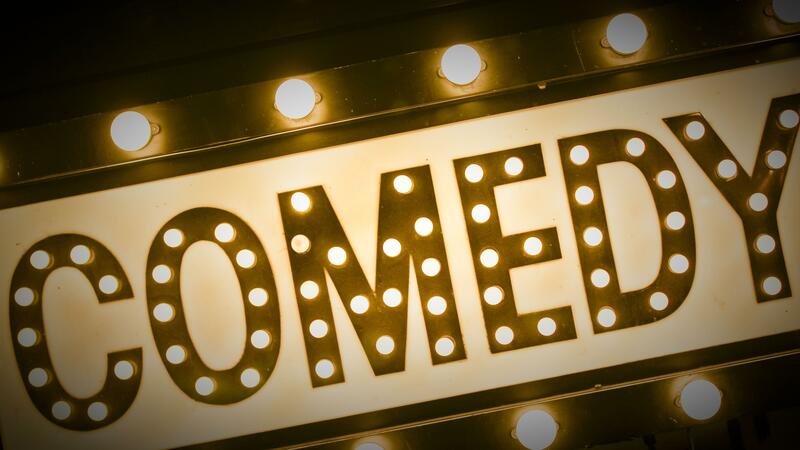 To fulfill these people’s needs, We will pick up the top 10 funny channels voted by audiences. It will save your time as you can watch directly through the following menu along with reviews. PewDiePie is Swedish game commentator on the website of YouTube. Since August 2013, the channel created by this young man has gained a number of rocketed subscribers from 3.5 million to 18 million. In November and December 2013, it was titled as Spotlight channel by Youtube for exceeding other channels. The young interpreter likes to record his exaggerated facial reactions and girly screaming when he plays horror-themed games. The unique style is attracting fans for him from all over the world every day. This channel was initiated by Hecox and Padilla, who were still college students at that time. At first, they just shared the video with their friends. But later, their talent works of funny videos was instantly spread through YouTube and later more and more audience became their fans. By watching Smosh channel from YouTube, you can feel you are having fun with some high school students who like to cosplay. 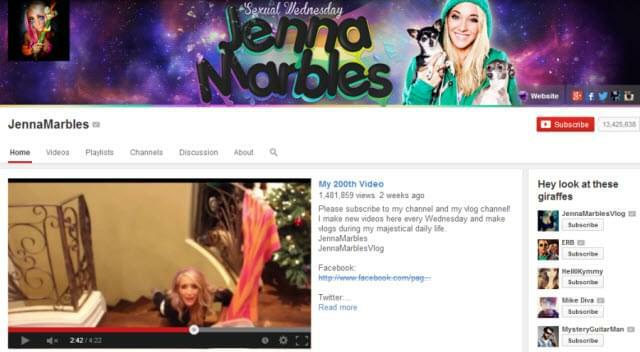 Jenna Marbles, previously named as Jenna N. Mourey, became a YouTube star after she posted her comedy video to the platform. 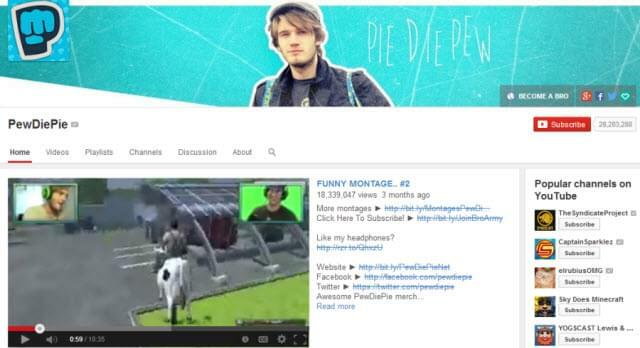 The channel was ranked as the 7th most subscribed one among all the YouTube funny channels. Moreover, it is the No 1 channel run by a woman. Her videos are focusing on the line of cocktail of comedy, puppies and social commentary. Watching her through the video is seemed like watching a teenage girl’s weird expression of her fantasy. 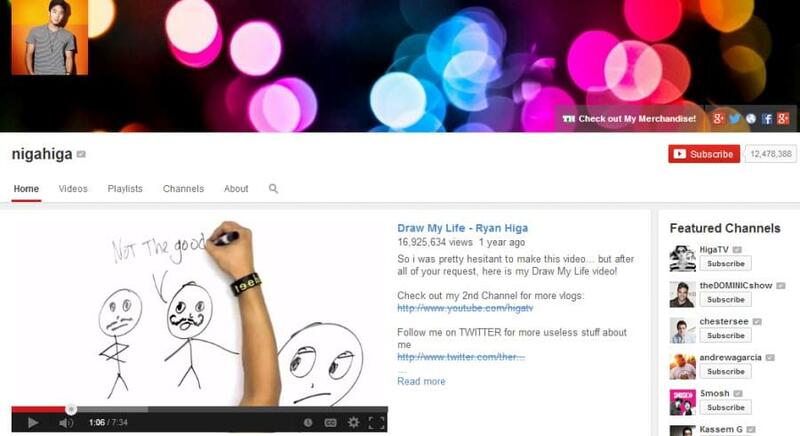 Nigahiga is a channel created by Ryan Higa and his friend Sean Fujiyoshi. 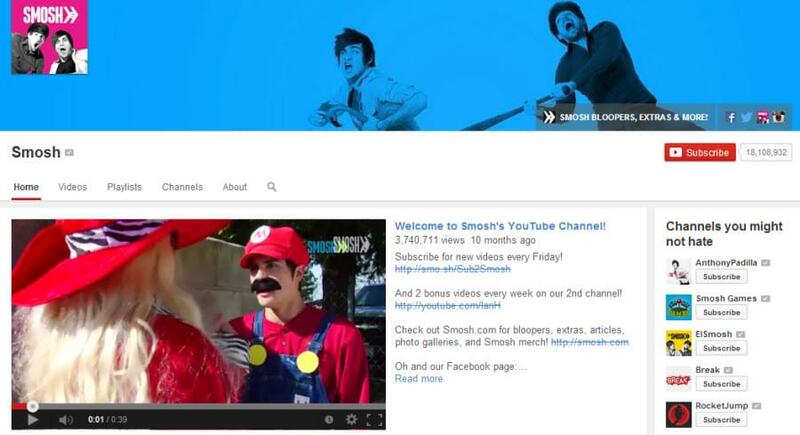 Under their cooperation, the channel was ranked as the top 5th channel with the most subscribers. This channel is combined with monologue cut from different clips to describe the situations they want to express. And the effect is favored by YouTube audiences that the channel gained a number of fans at an accelerated speed. Ray William Johnson became a YouTube star by his Equals Three series, in which he posed comments on viral videos. In December 2013, the channel had over two plus billion hits to view the video all over the world, which pushed the channel in the list of best funny YouTube channels. The channel is able to earn several million views every week and because of the great success obtained from YouTube, Johnson also stepped into the celebrity seats. Shane Dawson TV is one of the funniest YouTube channels. 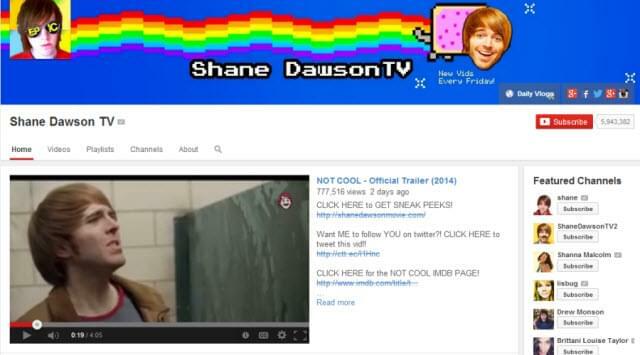 It is created by Shane Lee Dawson, who became well known as a comedian and video maker after he created this channel. 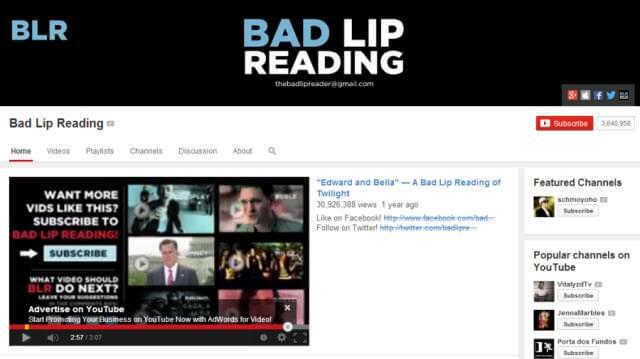 The videos are featuring on impersonations, TV shows and imitating celebrities. 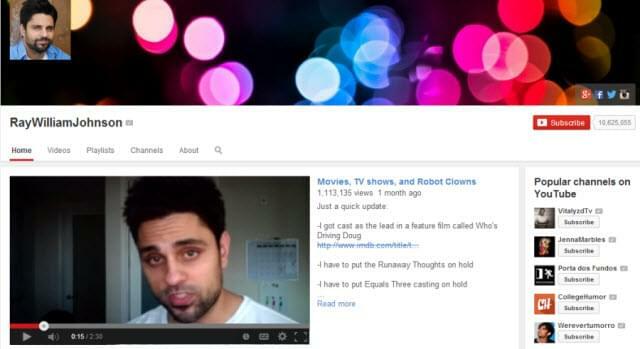 As the channel is welcomed by viewers from YouTube, Dawson opened a new account for another channel to post podcast. Both of the channels have attracted a fixed group of fans. Famous for replacing the original dubbing with a humorous vocal piece, Bad Lip Reading has a great deal of funny atmosphere. You enjoy the badly-dubbed videos with funny narrations matching the movement of lips and you won’t stop laughing when you watch the video. The channel is created by an anonymous music and video producer, who made the videos from the source of films, songs, political news as well as TV show. 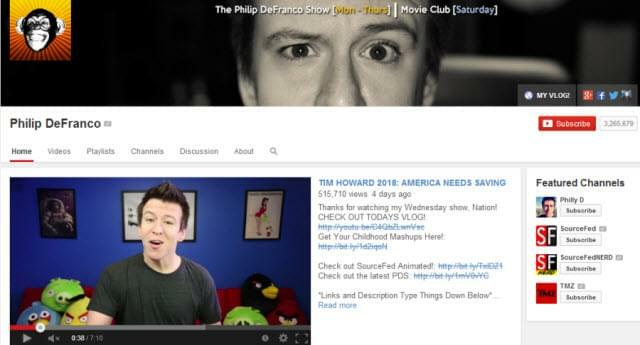 Philip DeFranco Show is created by Philip Franchini, who is a famous celebrity in YouTube. The channel is mostly centered on celebrity gossips, comments on current events or politics, and other source materials from entertainment. Within the popularity through the platform of YouTube, Franchini has gained over 1 billion views and more than 3 million subscribers. Currently, the channel uploads new funny videos periodically. 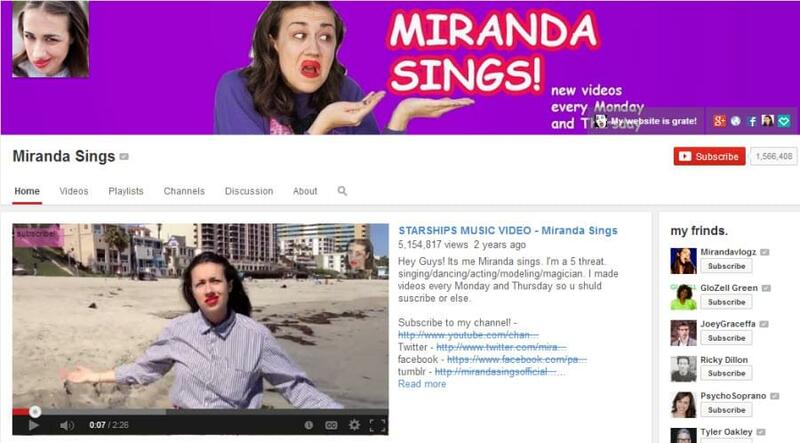 In the channel of Miranda Sings, you can see an odd girl always misunderstand current events, present quirky comments, give some “tutorials” and make a lot of jokes. The actress in the video is an American girl, who created the image to satirize the people pursuing fame in the forms of posting videos to YouTube. But the girl in the video showed her comical genius and more and more people find they can’t help laughing when watch her video. In June 2014, Miranda’s channel had reached 1.5 million subscribers, a really brilliant data. 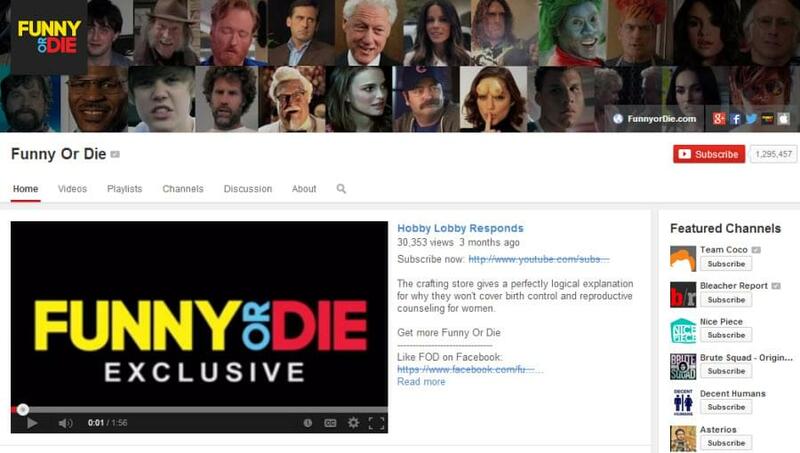 Funny or Die makes really funny videos that feature your favorite comedians and celebrities. Founded in 2007 by Will Ferrell and Adam McKay, the first video posted to the channel “The Landlord” brought great hilarity to YouTube audiences. Only that unique video received over 70 million of views for them, and the video has was ranked in the list of funniest YouTube channels. Then they started to provide a continuous series of Funny or Die comedy videos. Many people would like to download funny videos for offline viewing, so they can amuse themselves anywhere and anytime. There are many solutions you can find when search via Google, but most of the methods only support to download videos one by one, unable to handle all of them at once. For convenience, your best option is to use Video Download Capture to download YouTube comedy channels as this tool enables you to download playlist or channel at one time. You can download and install the application to experience the tool. The process is also very simple that you should enter the playlist/channel URL in the download bar after you run the app. Then click “Add to Download” button and it will fetch all the videos, from which you can select all or part of them. After selection, the tool will start to download at an accelerated speed.